Girl Scouts of the USA (GSUSA) and Disney Channel teamed up to inspire girls and their families to practice leadership! 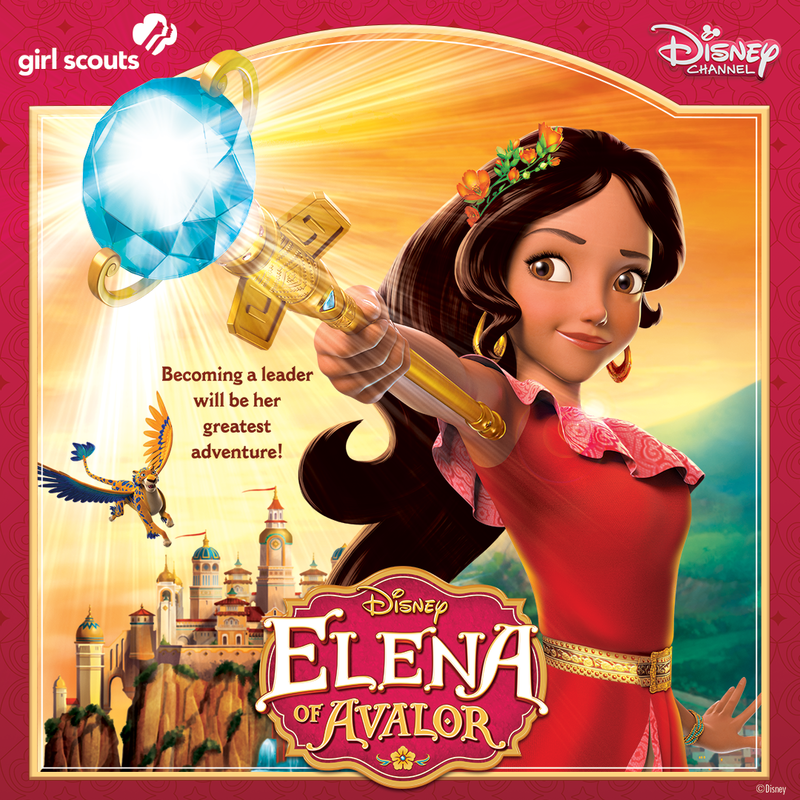 The collaboration brings GSUSA's focus on leading like a G.I.R.L (Go-getter, Innovator, Risk-taker, Leader) TM, the Girl Scout way, and Disney Channel's recently launched animated television series Elena of Avalor into action with the debut of The Elena of Avalor Leadership Guide by Girl Scouts and Disney Channel. GSUSA has been helping girls take the lead for more than 100 years, and we know leadership isn’t about who you are, but what you do. That’s why GSUSA joined forces with Disney Channel to change the conversation around leadership and help girls see that everyone has the potential to lead. Like your girl, Elena might be young, but as crown princess of Avalor, she’s learning to be a collaborative, communicative, and confident leader. By following Elena’s adventures (and taking on a few of her own), your girl will uncover the leader within herself and feel empowered to help others do the same. Featuring 12 simple but proven tips for enhancing your girl’s critical thinking, goal-setting, and problem-solving skills, the Elena of Avalor Leadership Guide is a must-read for any parent or caregiver looking to raise amazing girls. So where can you get this awesome leadership guidance for the girl in your life? Right here, for free! That’s right—as part of Girl Scouts of the USA’s and Disney Channel's commitment to helping all families practice leadership, we’re making the The Elena of Avalor Leadership Guide by Girl Scouts and Disney Channel available on our website, in both English and Spanish, at no cost to you. So go check it out and explore what it means for your girl to lead like a Girl Scout today!